Time until Advance Wars 2: Black Hole Rising release day! 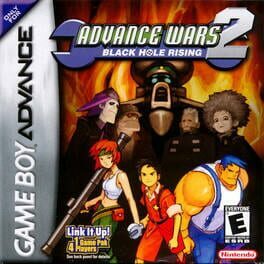 In Advance Wars 2: Black Hole Rising brings your GBA all-new strategic action and all-new fighting action! Thrilling turn-based strategy gameplay that will put your brain & your reflexes to the test, in this sequel to the original hit!